Have you ever consider about the trip to Myanmar with your family? And where can you spend time to visit? Let Exotic Voyages give you some famous destinations that you shouldn’t miss! The unique one-leg rowing fishermen wows you at the first sight. They paddle the long small wooden boat like the artists through the waterways and catch fishes by cashing the nets. You also visit the floating villages with the houses built up from mud and bamboo poles. Your children must be excited about “playing” with water and see the colorful sunshine reflecting over the waterways in the tranquil morning. Let your children have more extraordinary experiences by visiting the handicraft villages along by the Inle Lake. The rich culture heritage city of Yangon is always the best among Myanmar destinations. 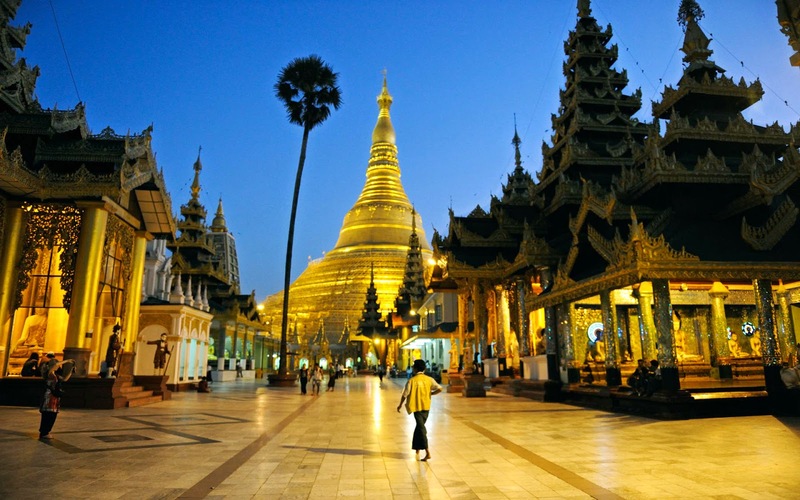 It is famous for the ancient temples such as Chaukhtatgyi temple, Sule Pagoda and Shwedagon Pagoda. Your kids can’t take their eyes off the glorious temples as well as more interested in the introductions of the long history of Yangon and its own culture. 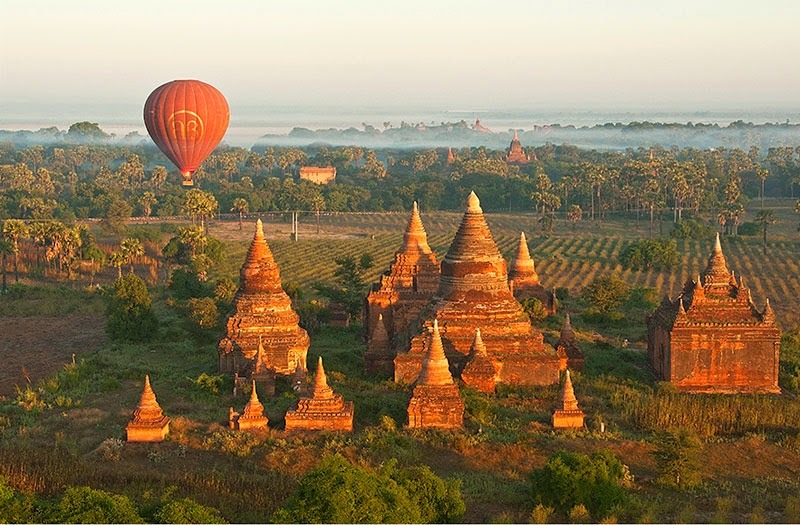 Floating over the sky and contemplate the panoramic Bagan in a new prospective by an exceptional hot-air balloon. More than 2000 temples and pagodas are in your eyes. It is the best way to see the flow of sunset over the breathtaking plain of the upper terrace of antique temples and tranquil Irrawaddy River. For both aduls and children, it is definitely unforgettable moments in your trips to Myanmar. Bring the Myanmar culture to your children by taking them to visit the Mandalay. 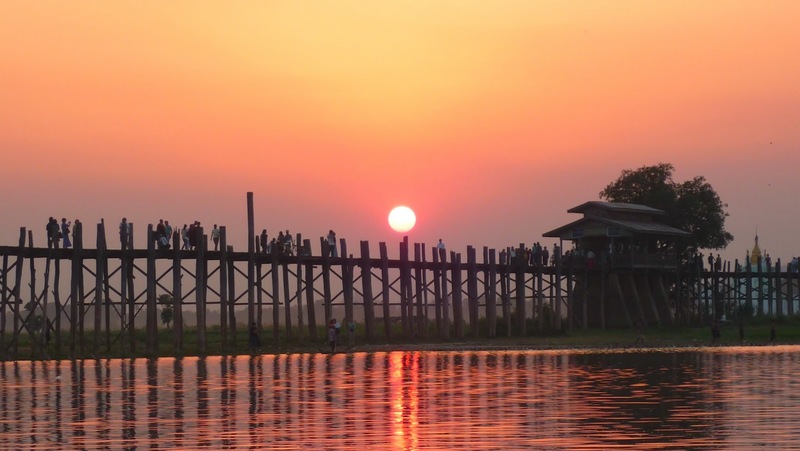 Thanks to its ancient towns, colonial hill stations and long cultural heritages, Mandalay attracts many people to discover the hidden beauty, especially the wonderful sunset at U Bein Bridge. Additionally, your family can witness how they make the well known handicraft “Shwe Chi Htoe” and purchase it as the souvenir. From North to South, From East to West, Myanmar always keeps its own ancient but charming beauty that satisfies your desire of an extraordinary Myanmar luxury travel.